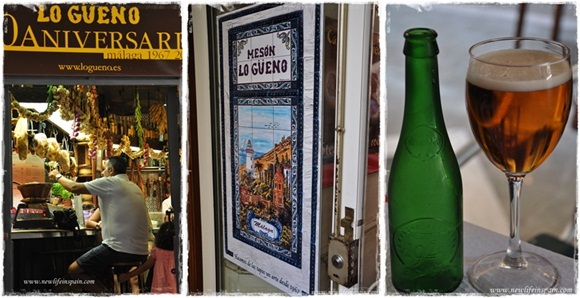 New Life in Spain: A little Spanish lesson at Mesón "Lo Güeno"
First thing fist. A little lesson in Spanish language. Normally when in a word, there is a G+U followed by E or I, you don’t pronounce the U. The word Águila (eagle) pronouns ágila. When what follows the G+U is A or O, you do pronounce the U. But if you want the U between the G and E to sound, you put to little points on top of the U, and voila you have bypassed the rule and got yourself a new word/sound! Like in güiskey (whiskey), güao (wow), pingüino (penguin). ….or güeno like in the name of this restaurant/tapas-bar. Which is slang for good/great/well. Basically it’s the same as saying “weno” which is slang for “bueno” (the root). The all sound the same basically. Well, me as a learner in Spanish thought it was fun when I myself realized the word-play in the name of this restaurant. So much that I had to sit down and try it. Mesón lo güeno, basically means the tavern with the good stuff. And it is. 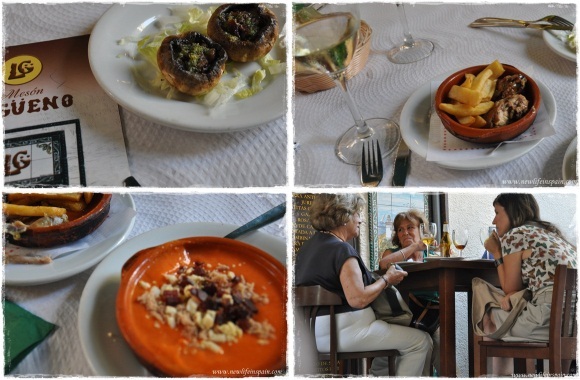 It's located in a quiet side street to the busy main street, and it's lovely to sit at one of the tables outside, in the shadow, enjoying a few delicious tapas, some chilled drinks and just watch life pass by.